Leo Fender is regarded as a pioneer of the electric guitar and an innovator in the musical instrument industry. The Telecaster and Stratocaster were two of his first electric guitar designs in the 1950s, and remain two of the most popular guitars in the world. Throughout their history, Fender has released iconic designs that stand the test of time, but people often forget about the ones that might have slipped through the cracks. Since the late 1990s, Fender has released an abundance of offset designs with unique sonic characteristics that guitarists can add to their stable if they want some variety in their tonal palette. Some designs are more traditional Fender, while others take a few more risks. During the late 1990s, Fender released a line of guitars that were a step above their standard series; they called this their “Deluxe” series. This new line included tweaks on standard models such as the Stratocaster, but also included brand new designs by Fender. The Toronado was aimed to compete with the Gibson SG, and this guitar featured something very unusual for a Fender model: a 24.75” scale length, which is the standard for Gibson. The offset body style was similar to the Jazzmaster and Jaguar, but with more rounded horns and a wider base. 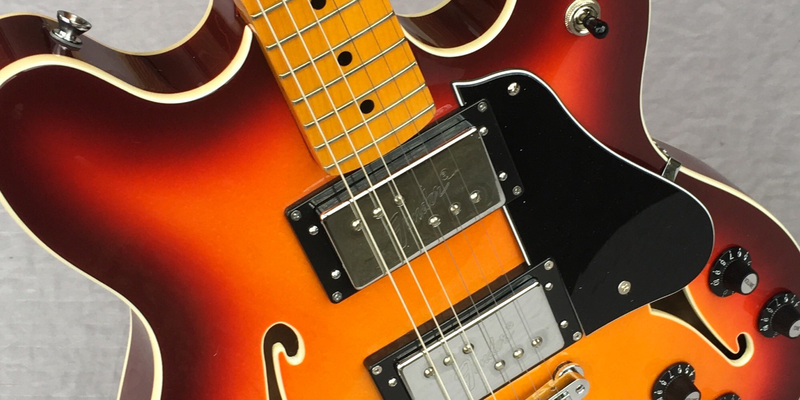 Packed with two high-powered Atomic humbuckers and a hardtail bridge, this model spanned multiple genres and attracted brand loyal Fender players who wanted the Gibson feel. Players like Mark Smith of Explosions in the Sky and Brian Molko of Placebo use this guitar to paint vast sonic landscapes, from ambient washed out cleans to buzzy high-gain tones. Another standout offset from this series was the Cyclone. Featuring the same Gibson scale as the Toronado, the Cyclone was based on the Mustang but with new, distinctive features. Featuring a Stratocaster-style tremolo, an Atomic humbucker in the bridge, and a Tex-Mex single coil in the neck, this model was very unusual for Fender. Players who like the Mustang but find the 24” scale too short will find this model suits them perfectly. Showing off its sonic variety, the Cyclone can easily achieve Texas blues tones from the neck pickup, splashy clean tones in the middle position, and gobs of gain on the bridge pickup. To showcase the versatility of the Cyclone, just watch any of Brand New’s live sets from recent years and watch lead guitarist Vin Accardi put it through its paces. Here are our picks for ten outstanding modern Jazzmaster alternatives to consider alongside the normal Fender fare. A few years ago, Fender unleashed the Pawn Shop series, which took traditional Fender designs and added features inspired by weathered and unique pawn shop guitars. One of the most prominent models of the series was the Jaguarillo. It shares the same body shape and 24” neck as the Jaguar, but the similarities end there. Loaded with 2 Strat single coils and an Atomic humbucker, Adjust-o-Matic bridge, and Fender floating tremolo, this guitar will convert any player that loves the Jaguar but hates its low output pickups. Players will find it perfect for shoegaze and noise rock in which high gain fuzz, analog delays, and trippy reverbs are incorporated. Another standout creation from the Pawn Shop series was the Offset Special. Combining elements of the Stratocaster and the Jazzmaster (with a clear nod to the short-lived Starcaster of the '70s), Fender designed a truly unique guitar. Featuring a semi-hollow design with a single F-hole, and JZHB pickups as opposed to the standard Jazzmaster single coils, players are able to coax sweet singing lead tones as well as tamed cleans that aren’t as bright on the high end. This guitar would suit blues players that want to stand out from the crowd with their own sound, or any lead rock players looking for something a little different. 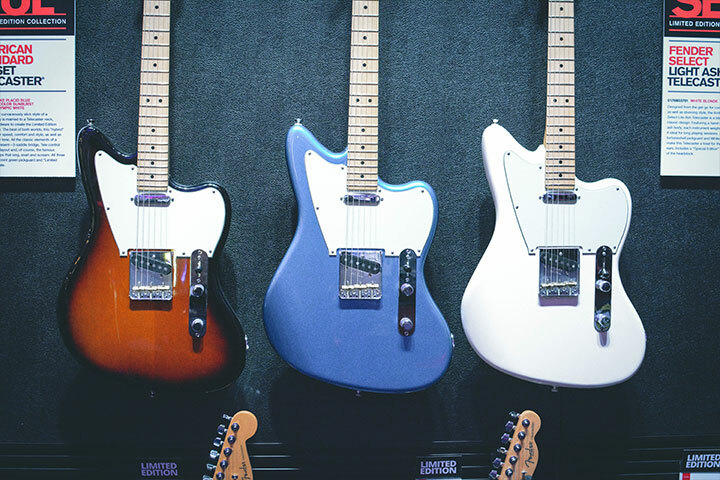 Recently, Fender has developed a more affordable line of instruments in their Modern Player series, and along with it brought back two models from the ‘60s and ‘70s: the Marauder and the Starcaster. 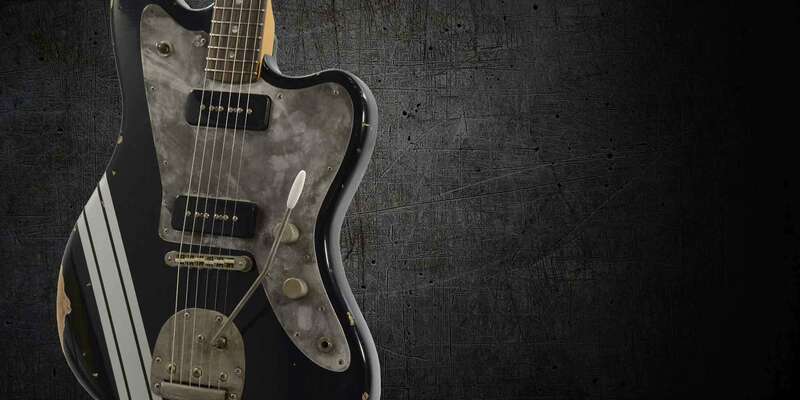 The original Marauder was introduced in 1962 and featured 3 Jaguar single coils and various control switches for pickup selection and tonal variations. It was, like other rare '60s models, built using extra parts from various other Fender models. The updated version is much more streamlined with a Jazzmaster neck pickup and Fender’s Triplebucker in the bridge. With a 5-way switch, all the sounds are uniquely Fender and can cover most of the authentic tones found in other Fender guitars. Spanky highs and thundering lows produced from this one-of-a-kind creation lend to any style of music. Famously constructed to compete with the Gibson ES-335, Fender entered the semi-hollowbody market in 1975 with the Starcaster (the earlier Coronado was actually a fully hollow guitar). With an offset body, enlarged headstock, and Wide Range humbucker set, this odd duck became popular with experimental players like Johnny Greenwood of Radiohead and post punk guitarists like Dave Keuning of The Killers. Fender recently reissued the Starcaster with an updated Adjust-o-Matic bridge as opposed to the hardtail of the original, and updated pickups for the modern guitarist looking for a distinctive semi-hollowbody. At the 2016 Winter NAMM Show in Anaheim, Fender announced a limited run of a new model based on the Telecaster but with a Jazzmaster body shape, the Offset Telecaster. Due to competing boutique companies like K-Line and Danocaster, and parts distributors such as Warmoth with their own “Telemaster,” Fender developed this model for a widespread audience. Featuring a Telecaster neck and electronics, those that aren’t a fan of the Tele body but love offsets will find this guitar suitable for their arsenal. Limited to 500 guitars per color, this model will be highly sought worldwide.